Will Teleport Any Sim be updated for November 2018 patch? I really need it in my game for my poses, if not is there any other similar mods i can use? 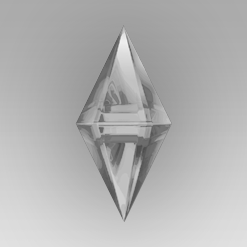 Hi vicsims4, I plan to have the Sim Teleporter updated soon. TY Andrew (you rock) .. is pose player done already or did it not get broken with the update. ALSO, heard thru the grapevine that S$S will not work and that we will need an updated version of S4S .. ??? Pose Player was amongst the other mods that were broken, unfortunately. I think I saw andrew mention to someone else that he was also working on updating that. As far as S4S not working, mine is still working because I've been doing recolours, animating, and editing meshes all day! Hahaha! I'm using version 3.1.2.1 (Wishes). The pose player and teleporter are updated (along with the other script mods in my Studio). Hi! So, I downloaded V9 and it’s not working :(. It’s telling me the script is the wrong content? I was trying to see if you could help me fix it. tamiateatime what is telling you that the script is the wrong content? Is your game telling you that or is some other program you are using to manage your CC telling you that? It should work as long as you place the .package and the .ts4script file in your mods folder. 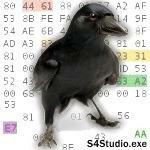 Make sure that you don't unzip the .ts4script (it is a zip file). It should stay in the .ts4script file.